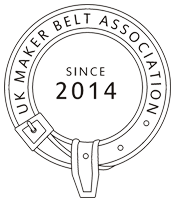 The UK Maker Belt Association (UKMBA) is an alternative model for trade organisations. 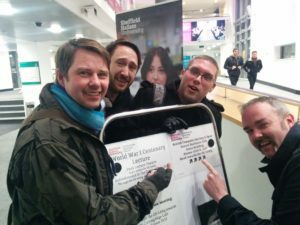 An informal lunch club, the UKMBA exists to bring a visual pun into the real world. There are no official rules, regulations, memorandums, directories, dues or even a concise members list. The UKMBA is composed of a loose roster of nice people with a few shared general interests around ‘tech’, based in the North of England. You know you’re a member if you’ve recieved a laser cut MDF invite to a lunch meet up near you. Founded by Andrew Back and Aaron Nielsen, in 2014 (peak maker movement mania) to connect professional manufacturers & amateur makers outside the London centric bubble. Both are proudly based in and around Halifax, Andrew (ABOpen) as an OpenSource & technical communities consultant specialising in embedded and wireless systems and Aaron (Oomlout) selling micro electronic wonders in bits & kits. I’m based in Manchester, was invited to join pretty early on, and have the MDF laser cut seal after making the (voluntary) one-time membership due. I don’t identify as a maker 24/7 but am interested in the DIY aspect of subverting products and services, and also fascinated by the insatiable need of people in the community to know how things work from the inside. I also liked hanging out with Aaron, visiting small scale manufacturers and industrial estates in the North and lunch as a social activity. 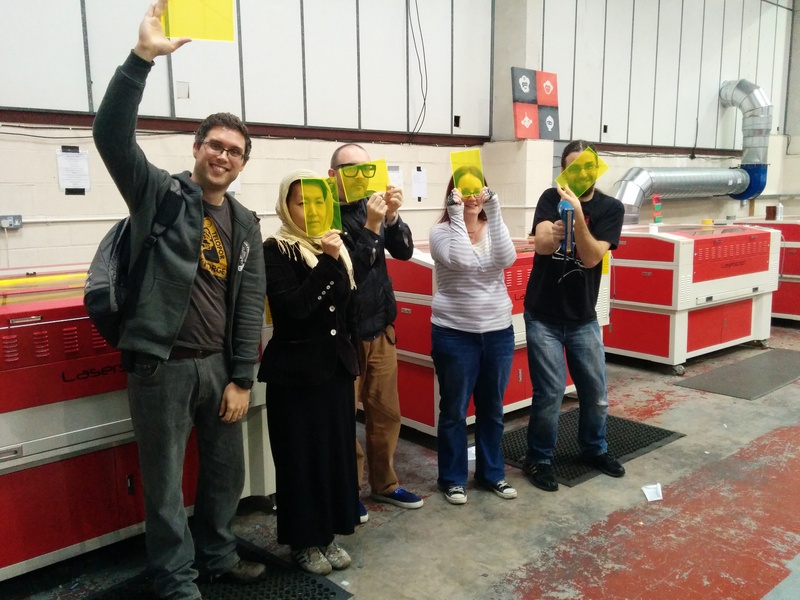 It would probably have stayed as an informal lunch club, a # on twitter, a few photos in the Cloud until I was asked to give a presentation at RCA’s Future Makespaces in Redistributed Manufacturing Level 2 symposium in July 2015. My talk was about the UKMBA as an Approach to Making as way of Place Making. To prepare for the talk, I spoke to Andrew & Aaron to reflect on the UKMBA about a year and a half months in. I’m not sure when the Maker Movement hit mainstream, but I think it was still on the fringes when I went to the Maker Faire 2011 at the Life Science Centre in Newcastle. It was a fun, bright, chaotic, whizz-bang affair and I throughly enjoyed seeing lots of gadgets and ideas on display, but it wasn’t really good for having in-depth conversations. Plus all the makers exhibiting were exhausted from performing and talking about their projects that it was difficult even for them to meet each other, although it’s good to just be aware that there are others out there like you, some pretty close geographically to you. The maker virus was potent, and was attracting more people and money. The official Make Magazine branded festivals at that time were two years apart, so lots of Mini Maker Faires started popping up to fill the demand, then own brand making festivals. With more acceptance of making/hacking/geek chic comes more investment and attention – ie; money. 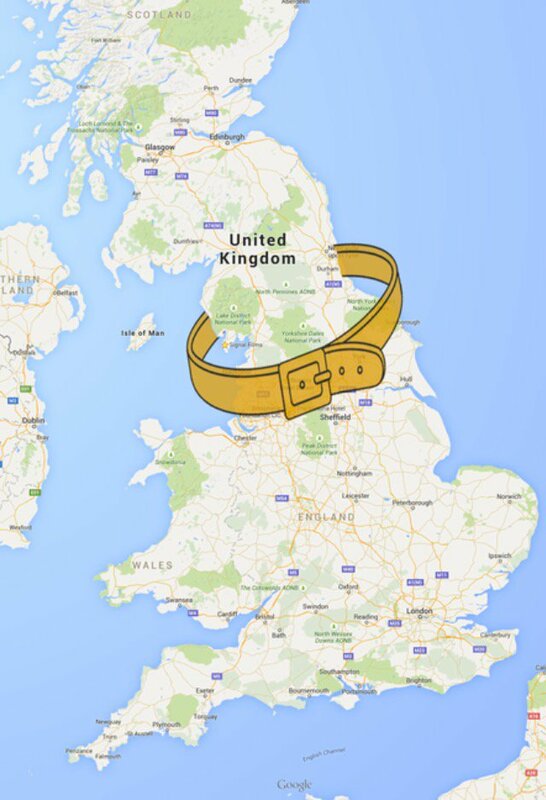 Which is great for people who’ve been working in this area, pioneering products and services. But for me somewhere along the way, it started being less about people showing off cool projects and more about people selling Kickstarter prototypes. As with most things in the UK, most of the money was being sloshed around London. 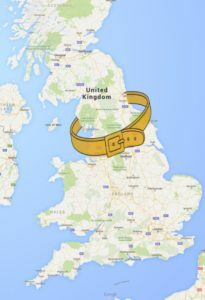 It’s taken me awhile to champion the North, but I’ve been here long enough to see the North/South divide and was frustrated by the lack of investment and imbalance of power between London and the rest of the UK. There is no better advocate for the North, especially Halifax, than Aaron. A transplant to these isles (like myself) he has put down deep roots and will regale you with anecdotes and stories (Halifacts) about his adopted home with such enthusiasm it almost makes you believe this place is God’s Own County. The UKMBA was an attempt to create sustainable and successful business practices in manufacturing whist in the North, where work life balance is more attainable. Was there a way to get more of these people in the North to make deeper connections? Could we do it without capitulating to the rat race speed of London town? Through a series of lunches dotted across Liverpool to Sheffield (sorry North East!) 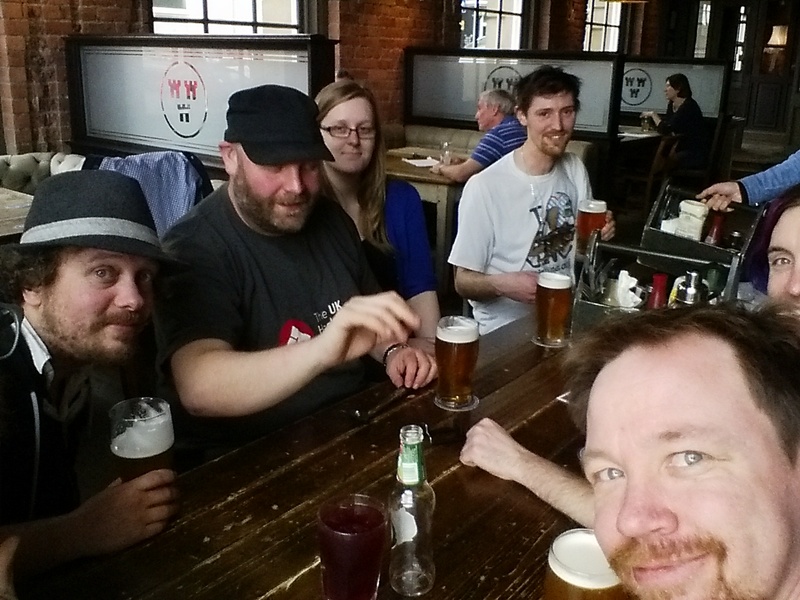 the basic tenets of the UKBA were hashed out. They were to be Informal, have No agenda, and be Organic. 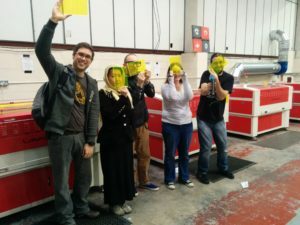 Some (most) people where frustrated with the short notice between MDF laser cut invite and meeting, and as the invites had a date & time but no location, it was difficult to actually come along without RSVPing, which is a hurdle for busy types. But it didn’t really matter, there was no urgency to attend every (or any) meeting – other than the collectible laser cut acrylic key rings. There’s no purpose other than to be supportive, but from the dozen or so meetings we’ve realised that it was more than lunch. It became a space for sharing experiences, joys, highs and frustrations. A chance to gossip for many SME manufactures who often have less than 10 staff and semi-professional freelance makers who often work out of spare rooms or co-working spaces. I feel the maker movement as a branding exercise has been pretty successful, and it’s great to get more kids/women/flavour of the month minorities into STE/A/M subjects, but where do you go after an introductory LED soldering workshop or hour of code? We found that lots of old school manufacturers didn’t go to maker events, and would be horrified at the lack of general knowledge around circuitry or protocol and procedure. We found lots of makers were ignorant of KITE marks and the rigorous testing required of (semi) mass produced commercial electronics. The importance of testing, modifying, and adapting hardware products is often overlooked and a nightmare to get right if one is ordering finished products from China. There could be benefits to both professionals and amateurs in perfecting a product, by prototyping with a local manufacturer which could lead to a better unforeseen solution. The lunches turned out to be informal intergenerational spaces for free form knowledge exchange. Common themes, needs and desires began emerging, with perhaps some actionable ideas. Matthew Boulton, James Watt and William Murdoch with a rolled-up plan of a steam engine. We thought the UKMBA was a radical non-group, but turns out it’s been done in the past. Some time around 1765, a group of learned men from Birmingham, great thinkers of the Industrial Revolution met to debate scientific questions and the application of science to manufacturing, mining, transport, education, and medicine. All whilst eating and drinking at someone’s private house. The Lunar Society, from the practice of meeting when the moon was full so that its light would guide the members home through otherwise unlit streets, ran for about 50 years . Famous members of the society included chemists James Keir (1735-1820) and Joseph Priestley (1733-1804); physician, poet and grandfather of Charles Darwin, Erasmus Darwin (1731-1802); and ceramics pioneer Josiah Wedgwood (1730-1795). Emergent intellectual consensus was born of a supper club. No constitution, minutes, publications or membership lists survive from any period, and evidence of its existence and activities is found only in the correspondence and notes of those associated with it. The UKMBA is pretty much the same thing, with a smaller food budget, the timing of the meals. Patrick: Mechanical engineer, Open Source pedal vehicle developer. Jina Kim on Ok Sparks!